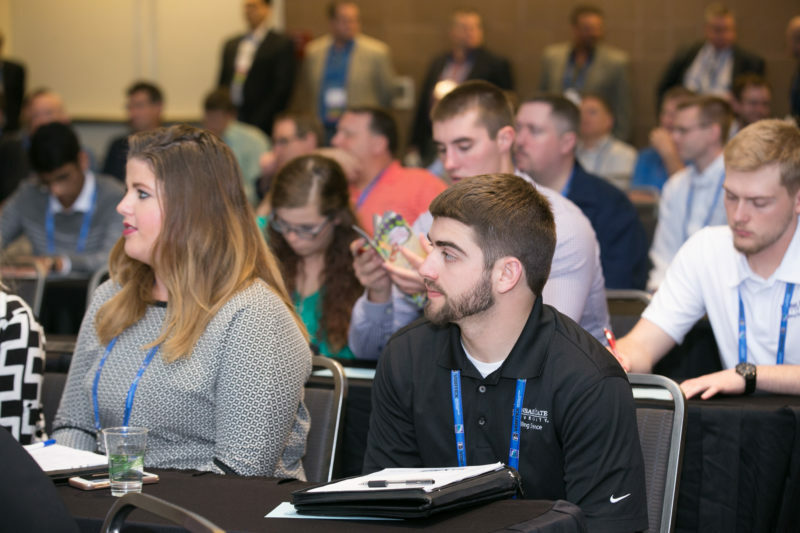 Changes are in the wind for this year’s educational sessions at the 122nd Annual IAOM Annual Conference & Expo, and it’s all in response to feedback from membership. Not only have sessions been shifted to the afternoon to allow for more time in the Expo, a number of panel discussions have been included in this year’s offerings. Wednesday’s events kick off at 1 PM in rooms 103-106 of the Cobb Galleria and feature four tracks familiar to conference-goers. The Employee Relations track will include a look at generational differences in the workplace, offered by Kyle Shermock of Miller Milling. A one-hour panel discussion on bringing benefits to life will follow with panelists Tania Brown CFP, Financial Finesse; Valerie Hawkes, Bay State Milling; Deon MacMillan, Ardent Mills; and Marcie Oppold, ADM. The Product Protection track will kick off presentations with a 30-minute panel presentation on dry bulk pneumatic trailer sanitary transport best practices. Presenters are facilitator Ron Galle, ADM, and panelists Sherry Rhoads, Ardent Mills, and Jeff Walters, WW Transport. Two additional presentations will follow to include a look at global regulatory updates and testing in mycotoxins and allergens, presented by Pat Frasco of Neogen, and metal control technology presented by Frank Reda of MPI. The Technical Operations track will take a look at digitalization and IoT tools by Daniel Ayd of Bühler, automatic samplers for milling applications with John Powalisz, Sentry Equipment, and the history and basics of sifter cloth by Debbie Copelan, Saati. The Facility Management track will feature storage saving carbon fiber reinforcing by Cheyenne Wolford, CCS Group, solar power in the milling industry with Damon Sidles of Miller Milling, and dust collection risk for fires or explosions by John Wincek, CCPSC, CSP of DEKRA Process Safety. Thursday’s afternoon sessions will begin at 1 PM and feature a return of Main Line Presentations with everyone attending rather than concurrent sessions. The first of two one-hour sessions will be Jesse Leal of AIB International presenting How to Manage Regulatory Inspections, and a panel discussion lead by Joel Hoffa, Cowley College Milling Technician instructor. The Miller/Allied Trades panel will feature the expertise of panelists Marco Galli, Ocrim SpA; Bryan Teems, Creason Companies; Shawn Thiele, KSU; Simon Tiedge, Miller Milling; and Ruedi Weiss, Bühler. The panel will discuss various milling challenges in the industry.